All 13 passengers on board a plane that crashed in central Texas on Saturday survived the impact, a county's sheriff said. [post_ads]The crash happened in Burnet, Texas, as the aircraft was attempting to take off at the city's municipal airport. One person was taken by air ambulance to San Antonio Military Medical Center with significant burn injuries and seven of the passengers were taken to Seton Highland Lakes Hospital with minor injuries, the Burnet County Sheriff's Office said in a statement. The impact caused a nearby grass fire, the sheriff said. 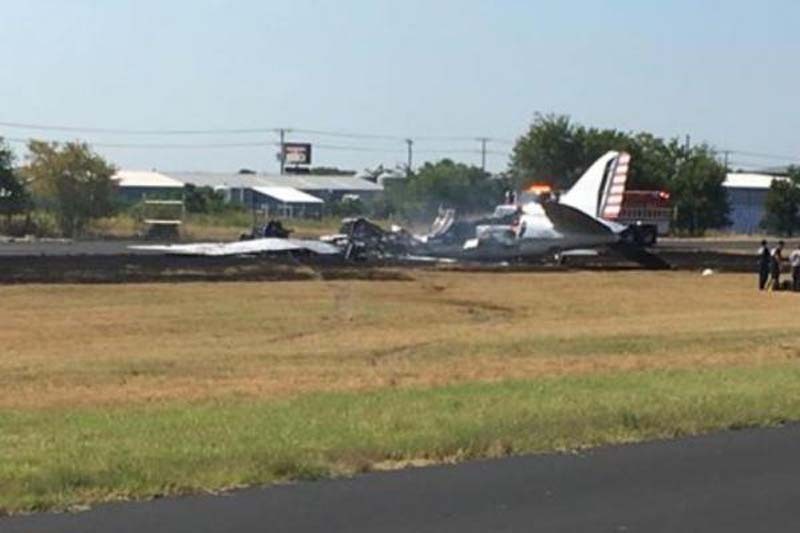 The cause of the crash is under investigation by the Texas Department of Public Safety and the Federal Aviation Administration.